Stories by Shabnam Noor is co-authored by the creative and curious minds of Shabnam Noor and Rizwan Ahmad. Rizwan keeps the pages turning on every project, drawing from a background of engineering and management. Shabnam has a true love for the world of architecture, fusing the foundations of the practice with contemporary values. Shabnam grew up analysing every detail of the built environment around her and has never stopped dreaming on the possibilities of physical space. Every element of a building from its form to its scale and presence, its very idea, should be the result of an understanding of its place in history and how that may develop to the contemporary. In our designs every detail has a purpose. The choice of the local materials we integrate anchor the building to a place, and the form it is used in identifies the building in time. Contemporary and innovative forms will define it in the now. Materials can also have a deep emotional connection with the inhabitant’s story. The smell of a particular wood or the texture of stone could instigate a particular memory in our mind. The story of the way we live is told by the way the spaces are laid out. Our lifestyles are reflected in the design of the space – a deep window seat for a lover of literature, a framed view of the garden for the green thumbed owner, or a water feature that flows eternally both inside and out for the client who longs for the sound of the sea – none of these ideas are synonymous with the cookie-cutter, mass produced, or quick turnover refurbished homes. The design of any home should be so personal to the people living there and should tell your personal story. It is therefore the deep conversations that we have with you, the client, that form one of the core foundations that Stories by Shabnam Noor is built upon. so that we can create a unique and tailored home which is designed around your needs, and reflects your personality and tastes. When a deep emotional connection can be established with the structure one lives or works in, the building materials and specific designs transcend from a mere structure, to a physical extension of those who inhabit the space. Stories by Shabnam Noor pulls the client to centre stage, allowing YOU to become an integral element of the design process, instead of pursuing superficial design ideas for the sake of design. We believe in design led co-creation, where each design idea solves a problem for the client and every detail is designed to delight and enhance the experience of the space. Shabnam grew up in the Himalayas, where the seed for the appreciation of the environment, both natural and man-made, was planted in her deep conscious. The built environment always fascinated her even as a child and she went on to study Architecture at the University of Dundee in Scotland. 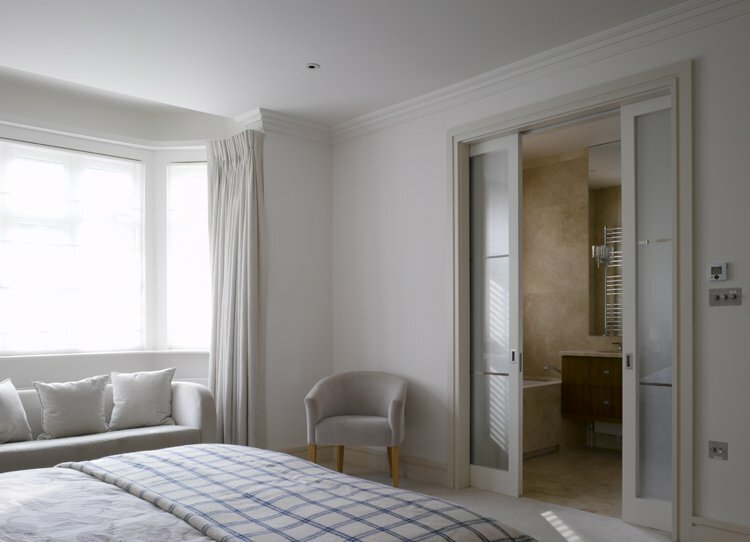 Shabnam found her way to prestigious firms such as Dixon Jones, Eric Parry and Simpson Haugh Architects in London. At Eric Parry’s, Shabnam worked on developing research and engineering facilities for The Welding Institute Masterplan in Cambridge and on developing offices and accommodation for The Leatherseller’s Guild at St. Helen’s Place in The City of London. 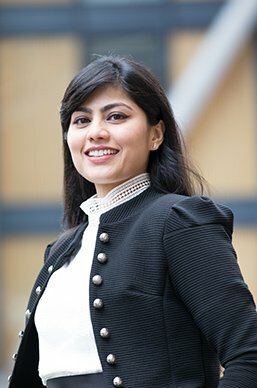 Some of the notable projects that Shabnam has worked on are Battersea Power Station Residential and Blackfriars One with Simpson Haugh, and on the Chelsea Barracks Masterplan with Dixon Jones. While at Dixon Jones Shabnam also worked on Quadrant 3 for The Crown Estate in Piccadilly Circus where her primary interest and involvement was in the complexities of the highly technical façade that also juxtaposes with Grade II listed existing historic fabric. 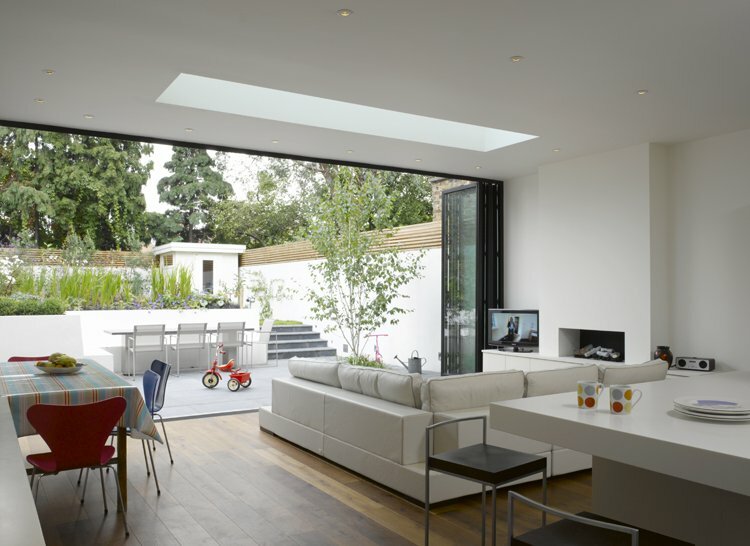 The project was given a BREEAM excellent rating and won an RIBA Award among 19 other awards. Rizwan studied electrical engineering and later attended graduate school for entrepreneurship and innovative management. His entire life he has been immersed in complex engineering projects, working with large corporations as well as start-ups. 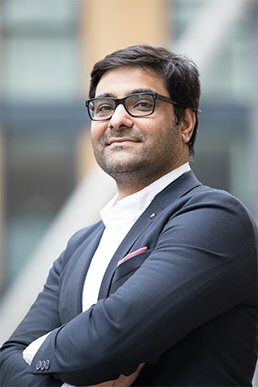 Rizwan flourishes when problems arise, solving complex issues by exploring his innate curiosity, supported by his vision of the world where everything is possible. Rizwan is extremely creative and continues to explore the arts more every day, however his strengths lay with analytical approaches. He can derive every project down to a process diagram, with every pound accounted for and maximized. Rizwan brings drive to the firm, providing clear direction to the practice and the teams that we interact with. He leads the project management of the firm and keeps the office running, making sure we deliver superior customer experience consistently on every single building design, with the finer details of finances always top of mind.